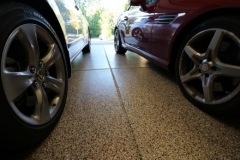 In the past, garages are often depicted as dark and cryptic areas with dirty and damaged floors. 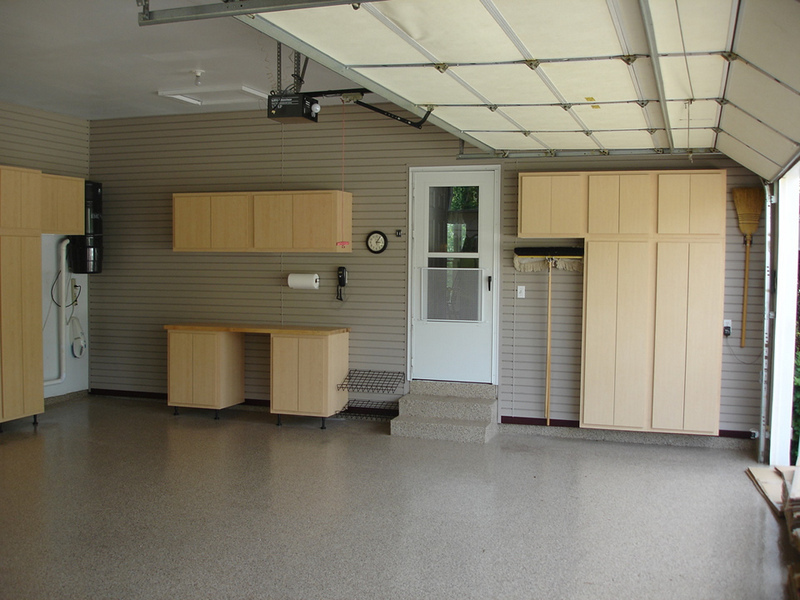 As the day progresses to today, home and business owners are soon seeing more potential in their garages. 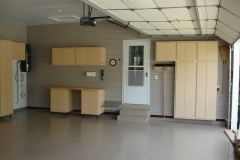 From an outbuilding, it is now being built attached to the house and is being designed to feature more convenient and more comfortable designs. 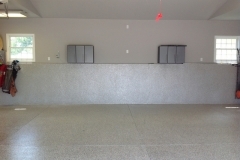 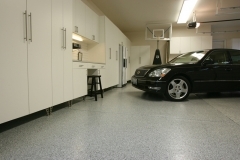 When it comes to garage floors, concrete has remained to be an ideal material. However, aesthetics and function are being greatly considered more than ever. 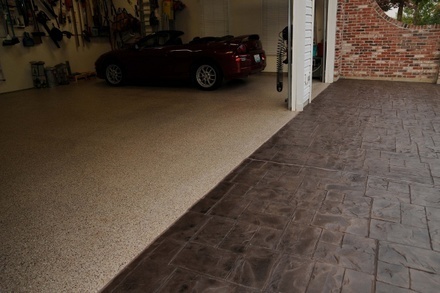 Decorative concrete has created a craze in the remodeling industry. 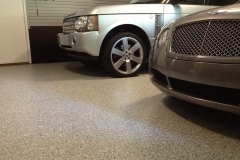 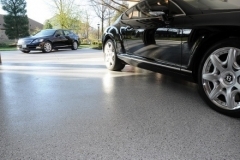 Coatings are now available to replace traditional garage flooring materials. 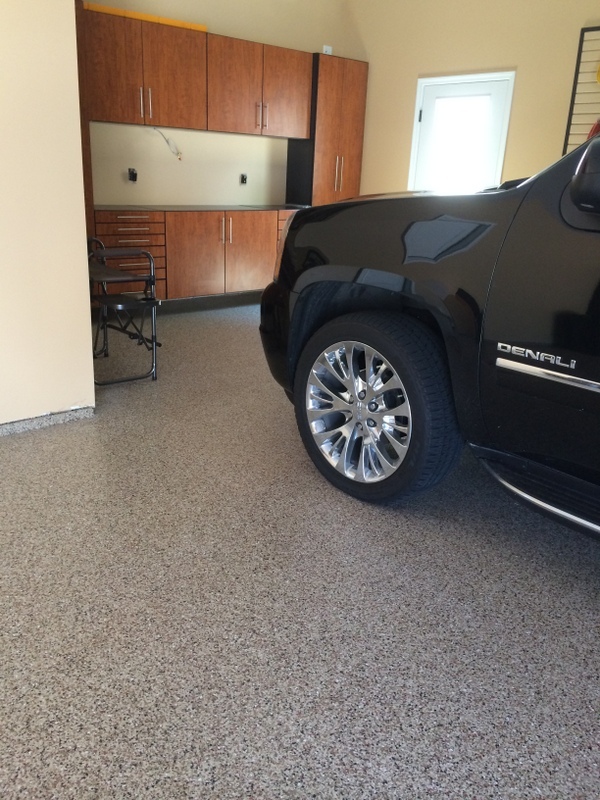 You can forget about having to stare at ugly, stained, and damaged floors in the garage. 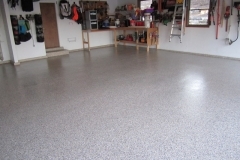 Epoxy Flooring Garage – This two-part material is one of the toughest materials, making it a perfect coating for plain concrete floors. 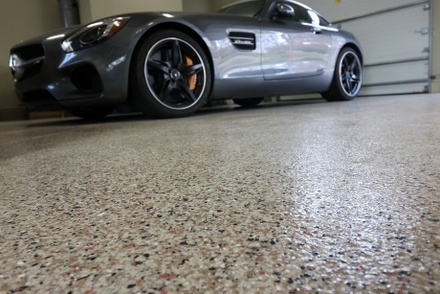 Equal parts of epoxy resin and polyamine hardener cure to a damage-resistant surface that can be enhanced with micro paint chips. 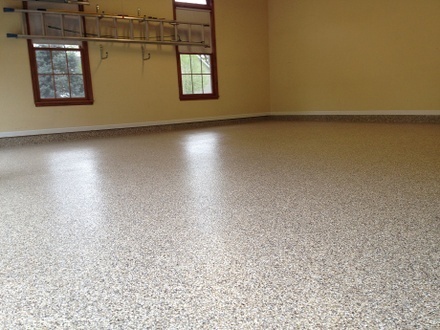 Polyurea Polyaspartic Coating – This epoxy alternative coating is resistant to most types of damage. Originally developed for industrial use, this is now a popular coating for residential and commercial garage flooring. 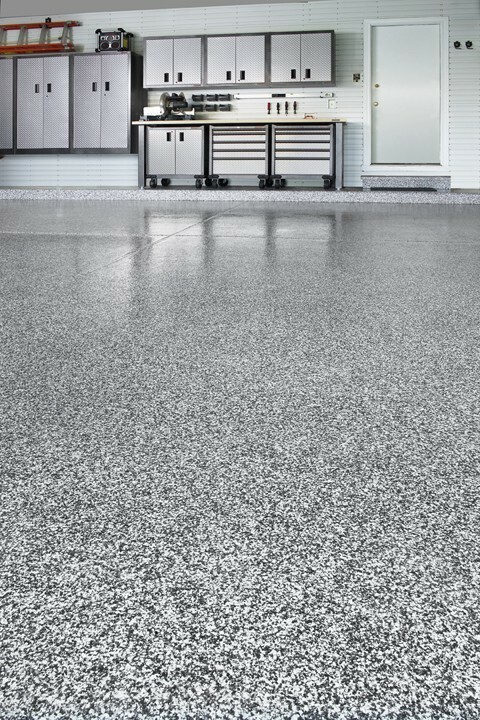 One notable feature about polyurea polyaspartic is that it is fast-drying, needing only a day to install, cure, and be ready for use. 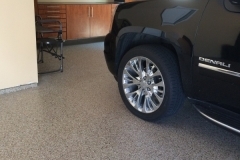 This can also be customized with micro paint chips to create a granite or terrazzo effect. 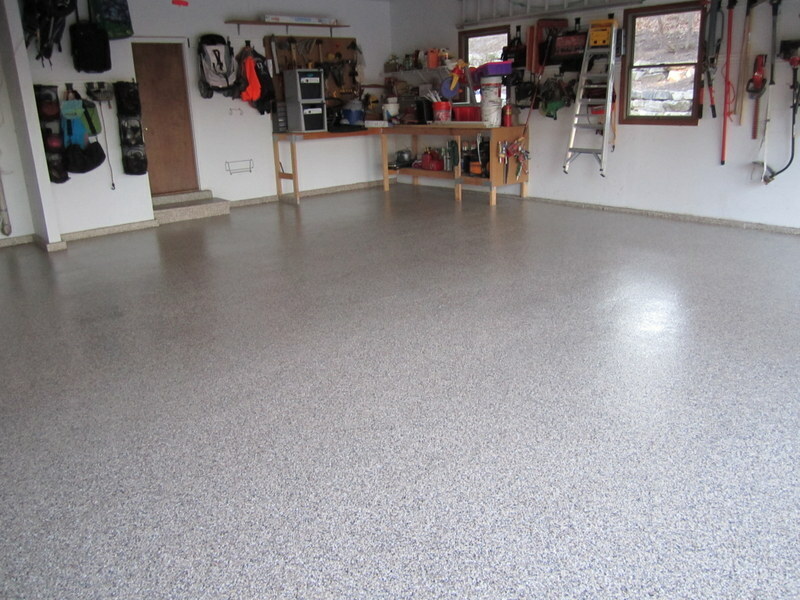 The great thing about garage floor coatings is that they are very simple and easy to clean and maintain. 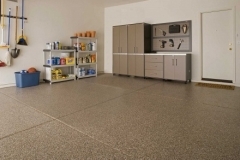 Sweeping with a soft broom or dry mopping is enough for daily keeping. 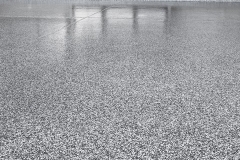 You can wet mop every week or only when needed using water and a non-chemical, non-acidic cleaner. Although resurfaced garage floors are resistant to most damage, it is important to take precautions. 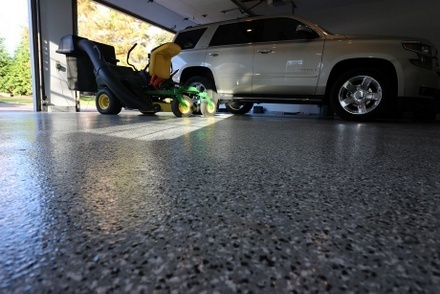 Avoid exposure to grease, oil, and battery acid. 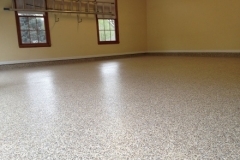 If something spills, wipe it off as soon as possible to avoid slips and to help extend the lifespan of the flooring. Make your garage floor an extension of your living space! Call (972)808-5281 for more options and ideas. 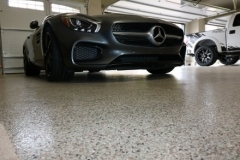 When it comes to garage flooring, no one else comes close to the skill and expertise of the Dallas Decorative Concrete installation team. 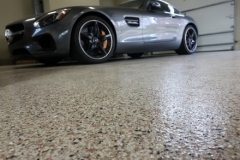 We partner with garage owners to help them restore and improve their garages, creating functional, durable, and stunning floors. 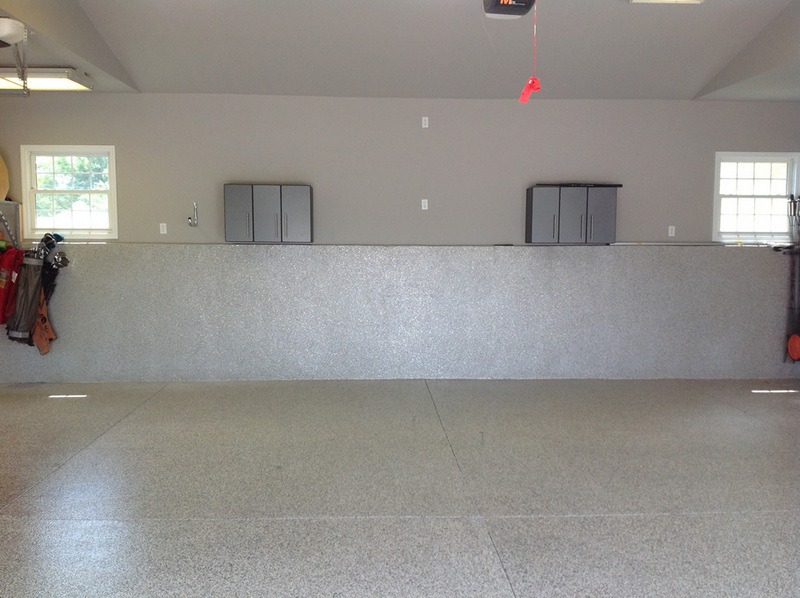 We have over 20 years of experience in resurfacing, refinishing, and repairing concrete garage floors using innovative equipment and tools for top quality results every single time. Call or email us and one of our experts will meet with you to discuss your desires in more detail and to provide you a quote, both at no extra cost!